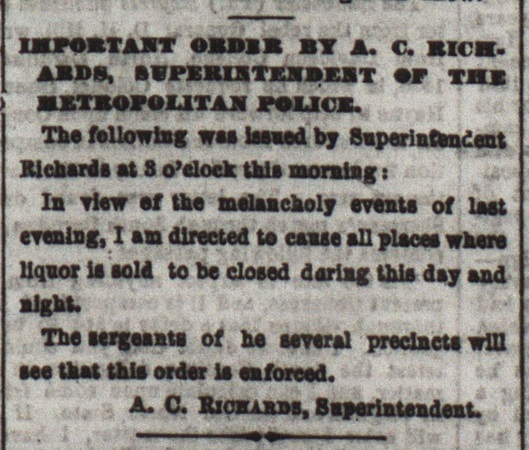 "Important order by A. C. Richards, Superintendent of the Metropolitan Police"
Reprinting of an official order from Washington, D.C. Metropolitan Police Department Superintendent Almarin C. Richards issued at 3 a.m. on April 15, 1865, the day after the shooting of President Abraham Lincoln's and the day of his death. The order requires all places in the city that sell liquor to be closed that day and night. Important order by A. C. Richards, Superintendent of the Metropolitan Police. 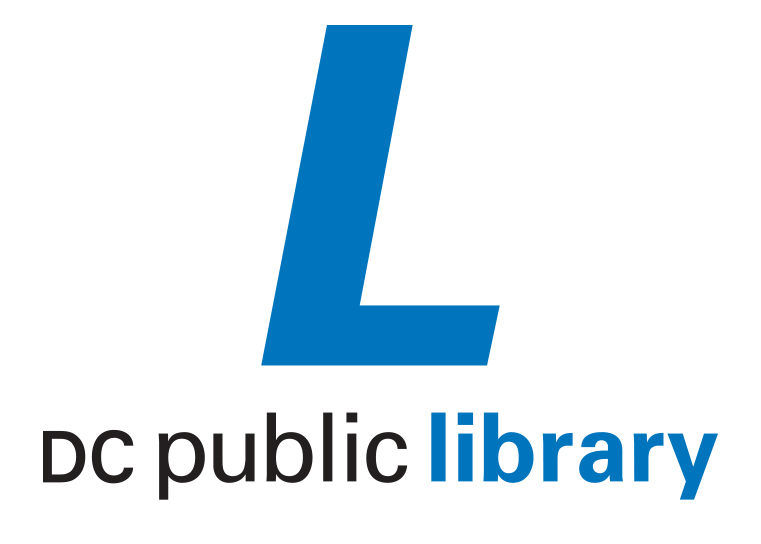 The following was issued by Superintendent Richards at 3 o'clock this morning: In view of the melancholy events of last evening, I am directed to cause all places where liquor is sold to be closed during this day and night. The sergeants of he several precincts will see that this order is enforced. A. C. Richards, Superintendent.